Writing Agile Testing together showed us the value of pairing on a book. Thanks to our complementary skills, we stuck to a schedule, and honed our writing so that even we couldn’t tell who had written the first draft of a chapter. We liked the conversational tone of our writing. 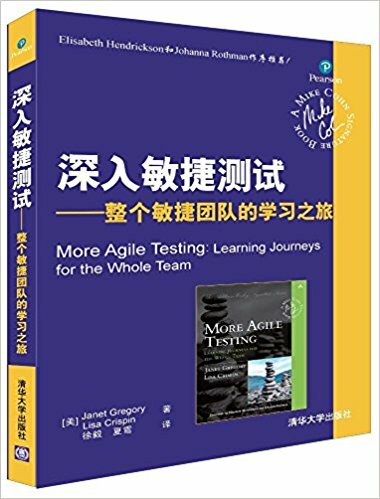 We knew that the stories about how various agile teams around the world approached testing were helpful to our readers. Since we happened to have more personal life interruptions during the time we contemplated and then wrote More Agile Testing, pairing was even more crucial. When Janet was busy traveling, or was dealing with illness, Lisa had time to write. When Lisa’s time was consumed with family crises, Janet worked hard. Janet’s innovations to our organization framework, such as using Pomodoro-style time slots and personal kanban boards, kept us moving. The support we received from our families allowed us to focus – most of the time. 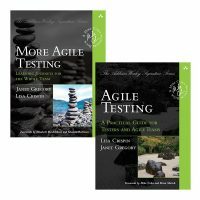 Just as More Agile Testing is a completely different book from Agile Testing, our experience in writing it was completely different. Being able to apply lessons learned from the first book was a big advantage. Technology helped too. We used an ftp site to organize and version control our first book. Dropbox wasn’t invented yet. This time, we could collaborate real-time on our mind map, rather than sending versions of it back and forth (and dealing with our operating system differences). Shared Google docs and spreadsheets provided such an easy way to stay organized. Versioning our chapters and sharing them with volunteer reviewers was effortless. Skype was around when we wrote Agile Testing, but we made more use of it while we wrote this new book. As before, we made constant use of instant message. Technology has made it much easier to collaborate when we’re not co-located. Getting together physically to go through reviewer feedback and refactor the manuscript was a key difference. Having the printed pages up on the wall was a powerful way to understand how to organize and improve them. In the time since we wrote Agile Testing, we came to understand even more the value of small experiments. Lisa was able to experiment with different approaches to exploratory testing, test automation, and test planning with her team. Traveling the world as a coach and consultant, Janet was able to help and observe other teams as they experimented and improved. We learned so much from these experiments that we could put into More Agile Testing. We learned and relearned the value is in the planning, not following the plan. We adapted as needed. Of course, we’ve met lots of new people since writing our first book, which helped us recruit awesome reviewers and sidebar contributors. It’s good to learn new techniques and practices, but it’s even more important to meet smart people and build new relationships. We hope our story about our book-writing journey inspires you to share your own experiences with building quality software.